Well, the first good thing was I got onto the front page of Etsy. 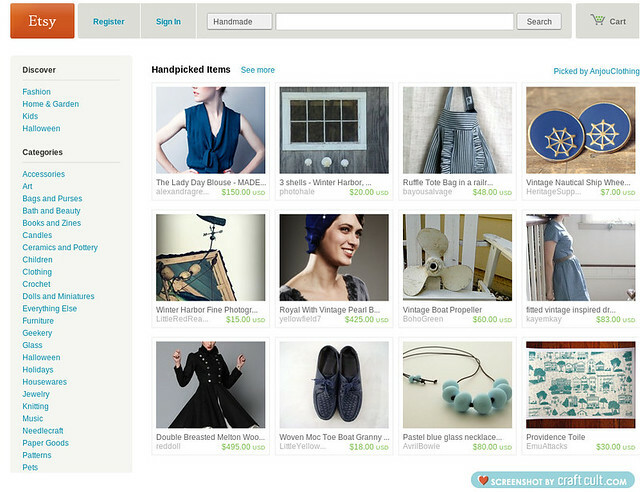 If you don’t know Etsy so well, getting a picture of one of your handmade goodies onto the front page of Etsy.com is a big thing – a really big thing. All Etsians aspire to this. And I achieved that goal one day a couple of weeks ago. To be exact it was Oct 7th, 1am. I wasn’t actually awake when this happened but I do have proof it happened. My pretty blue necklace is there – yes! 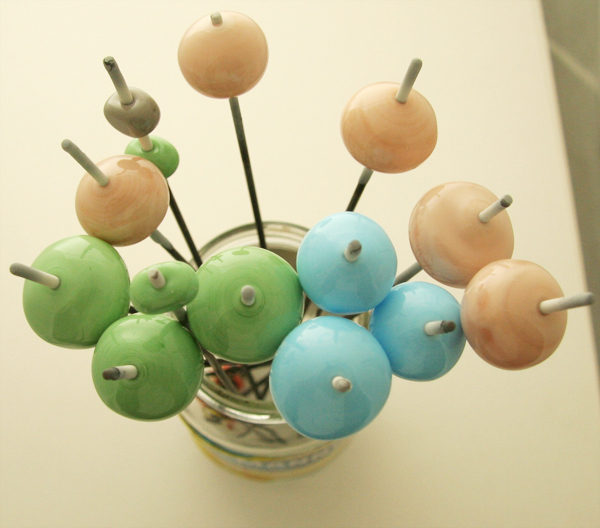 I’ll leave you now with a picture of some beads in colours I’ve been playing around with lately. Blues, greens and nudes – just lovely soft colours. Well done! I’ve heard it’s not just about having a beautiful product but having a great photo too – which is the bit I always find hard!